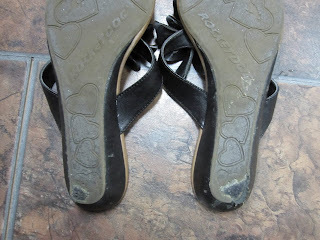 When I was in NYC this past April I bought some lovely Rocket Dog sandals. They are even named Lovely on the website. Friends of mine have had their sneakers. It seemed like a very fun brand so I decided to make these sandals mine. They were perfect with almost any outfit. I could stand on them all day at work as they were super comfortable...notice that I said "were". This is not even 2 months people!! I've never 'worn out' a pair of shoes in my life! Now when I walk I make a clangy metal sound because it's worn right through the sole. 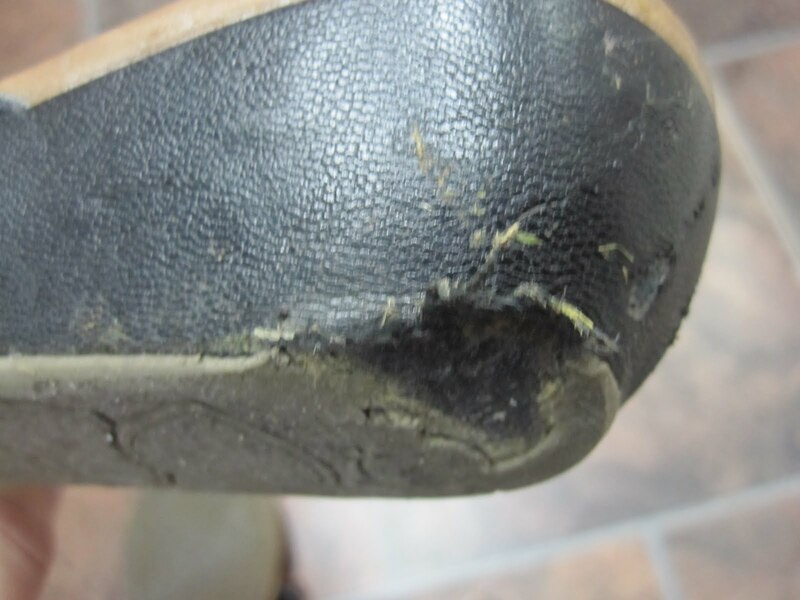 I called a local shoe repair place and the gentleman estimated that it would be between $20 - $40 to resole them...but they only cost $29.99 in the first place! 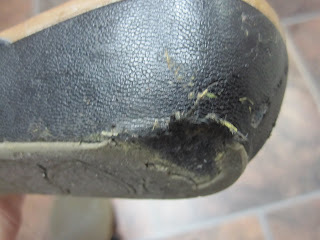 And, I don't want to pay to have them resoled if they are only going to look like this again in a month. What's a gal to do?! I emailed Rocket Dog customer service, that's what I did. They responded quickly saying that if they weren't purchased online they couldn't give me a refund. So, I replied that they were not from the website but from a recent US vacation and I expected something as this seems rediculous. So, they had me send in pics and wanted a receipt. I told them I didn't have the receipt, only the box, and was honest in telling them that I did get them on sale for $29.99. I asked if they could resole them as I really came to love these shoes. They replied by saying I could have a credit for $29.99 that's good only on their website, and it will expire in July. While this sounds good, the shoes are not on sale on their website, they are $49.99 and shipping is $18.95 (all in US dollars by the way, and they know I'm in Canada). So, my credit will really only cover shipping for shoes that I cannot afford to buy again. It will go unused, which, I'm assuming is exactly what they want. I replied and told them as much. We shall see what they come back with. I ask you, What's a gal to do?! Keep bugging them. Where's your century 21 receipt? That's very sad. I'm hard on shoes, but that's terrible! I can't believe they did that and they are so new. They should send you a new pair for free. I'd definitely write to them again or call. Hope you get a new pair free of extra cost!